offering a warm welcome to locals, visitors, walkers, children, dogs and even horses. Last Sunday The Cross Keys put on a little party celebrating our second Anniversary. 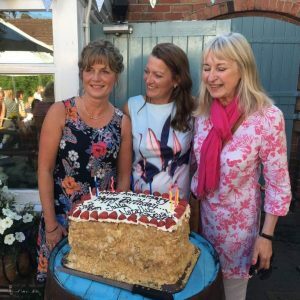 The pub was packed with friends, family, villagers and regulars to celebrate two whole years of The Kitchen at The Cross Keys. The sun was glowing whilst everyone enjoyed Pimm’s and Canapes listening to Just Ben’s performance out on the decking. Thank you so much to everyone who came out and everyone who has supported us over the last two years! We are very pleased to announce that we will be participating in The Great Food and Drink Festival at Newstead Abbey on the 26th, 27th and 28th of August this year. We recently took part in the Nottingham Castle Great Food and Drink Festival back in May which was very successful. We will be selling our famous venison burgers with red onion chutney. 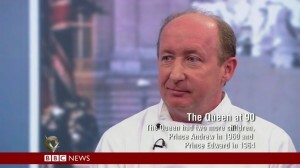 Des will also be doing a demonstration of some seasonal dishes that are popular at the pub. Come down and say hello! 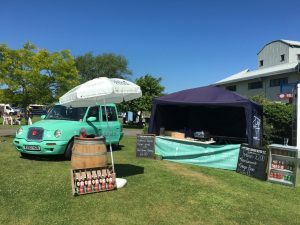 We are very proud to have taken part in the Epperstone Summer Festival earlier on this month. 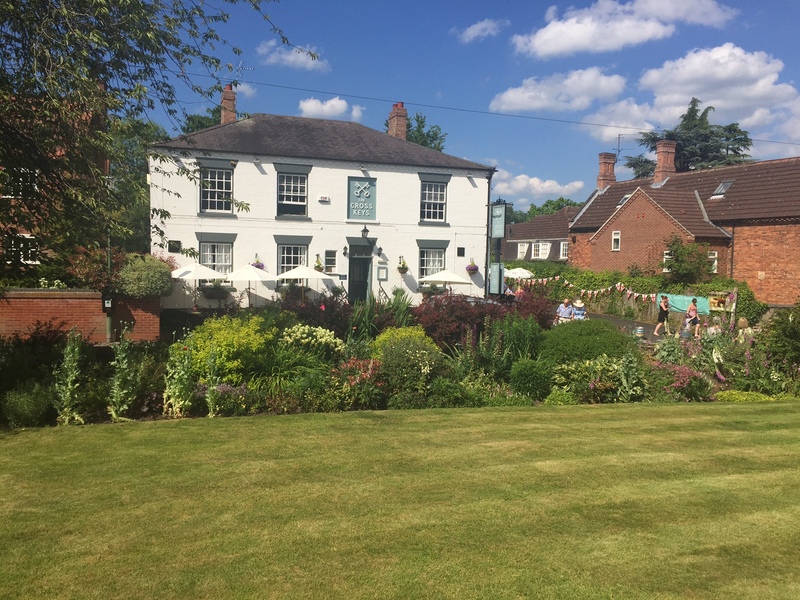 The pub became a kind of ‘pit stop’ for the villagers as they went up and down the village visiting all of the open gardens. 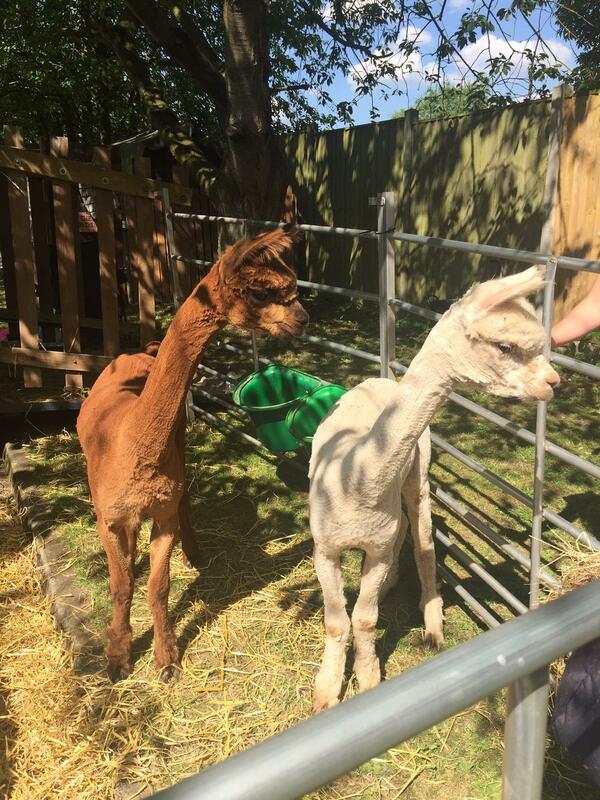 We had alpacas in the garden which were extremely popular and the famous ‘Epper-Stone Roses’ performed live on the decking. 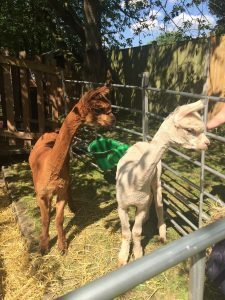 The most recent total figure showed the village had raised £8600. It was the hottest day of the year which makes the amount raised even more impressive, well done to everybody that took part! A fantastic day had by all. We are now taking bookings for Valentine’s Day 2017! Our very special Valentine’s menu offers three courses for just £24.50 per person and includes a glass of prosecco on arrival. There is limited availability so book soon on 0115 966 9430 to avoid disappointment! 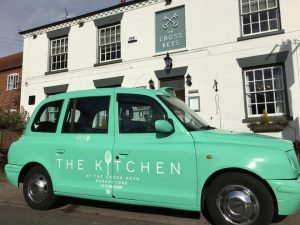 We are proud to introduce to you the latest addition to The Cross Keys, our Taxi! 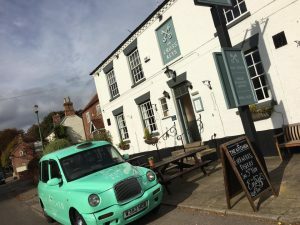 Freshly wrapped in pub colours and branding, thanks to the brilliant Bri-Stor Systems, our London cab is ready to give lifts to any locals and regulars, drinkers and diners that might need a ride home after their visit. So keep an eye out on the roads for The Cross Keys Cab, its hard to miss! We love it. 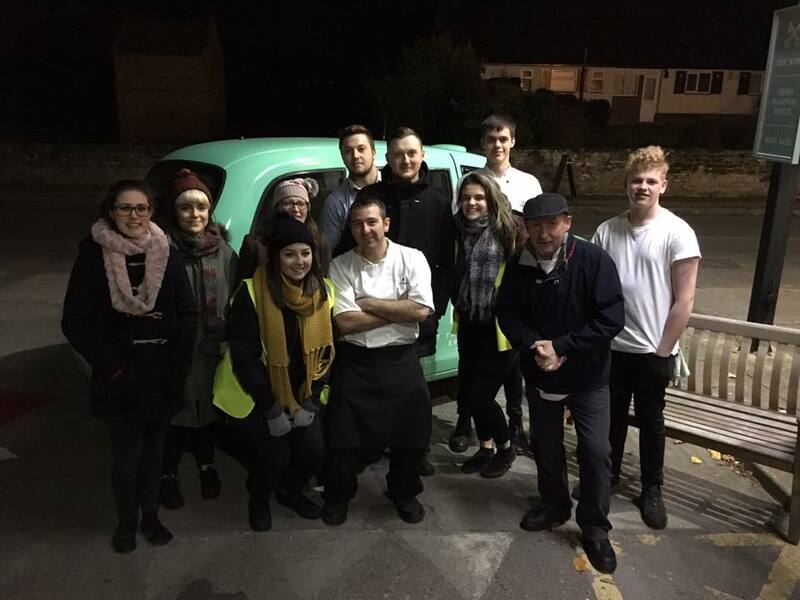 A massive thank you to everyone who came to our fireworks display last saturday, it was a fun evening followed by incredible fireworks courtesy of Fraser and his team! Also a special thanks to our own team here at the pub, we did great! 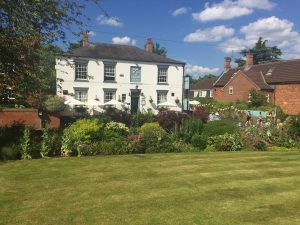 After months of voting, nominations and judging from mystery diners we can now announce that The Kitchen at The Cross Keys in Epperstone is officially the winner of The Nottinghamshire Food & Drink Awards 2016 ‘Best Public House’!! Put on by The Nottingham Post, the Awards were a huge success with almost 7000 nominations between the 20 categories. 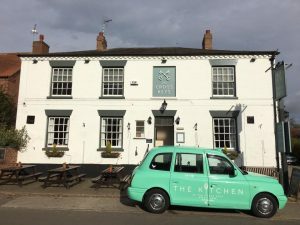 At the glittering ceremony last week The Cross Keys was awarded Best Public House and top 3 finalist for Best Service in the county, in front of 500 people representing the best of Nottingham’s Bar and Restaurant scene. All after less than a year of trading. It was a brilliant event and we would like to thank every single person who nominated us for an award and to the Nottingham Post for putting on an incredible evening. We send our congratulations to all the winners that night, and to everyone else who attended, just to be nominated is a fantastic achievement in such a diverse and exciting city for food and drink. Thank you to all our staff who have worked so hard and to all our customers who have supported us every step of way, we could never have achieved this without you. We have had an amazing first year, this is only the beginning. 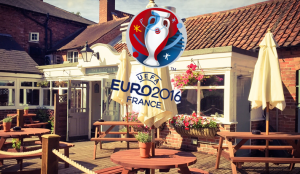 The Euros at The Cross Keys! 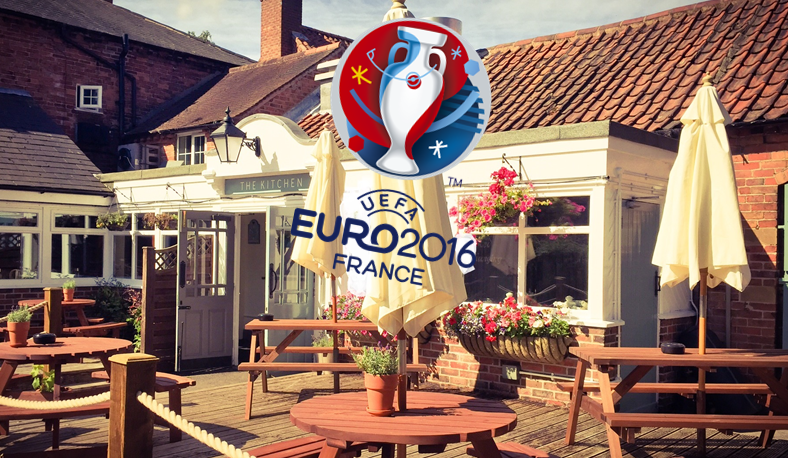 This Friday we will be showing the first game of Euro 2016, France v Romania, outside on our decking. 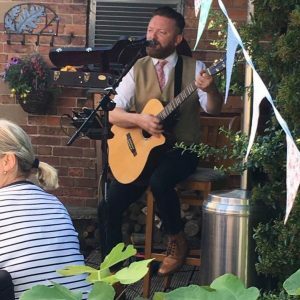 Kick off is at 8pm, come down for an very enjoyable evening! Same time same place for England v Russia on Saturday. Stay tuned to our Facebook and Twitter profiles for more fixtures being shown in our outdoor fanzone! 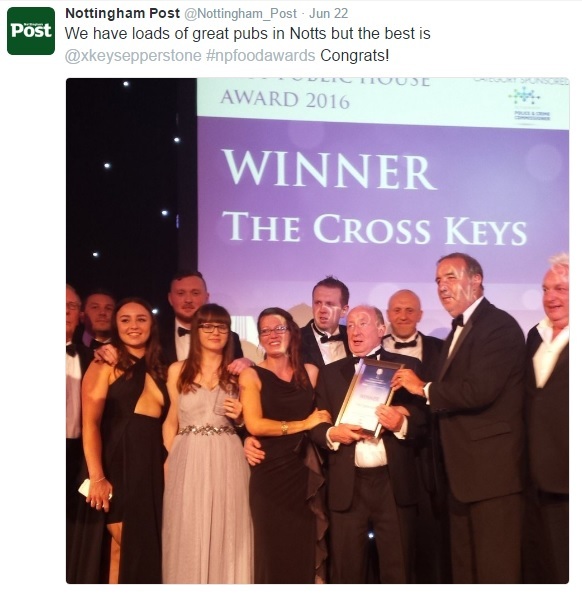 After several weeks of voting and nomiantions The Cross Keys has been announced as finalists in two categories! We are shortlisted for both Best Pub and Best Service as well as an honorable mention for Best Out Of Town Venue. 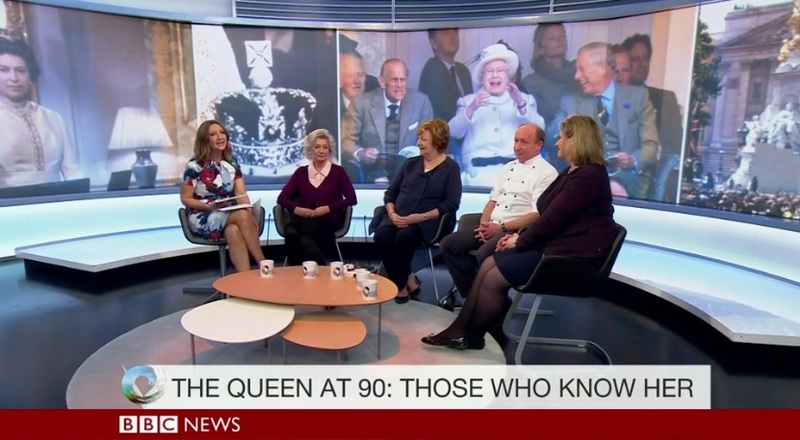 In the next stage of the awards, every shortlisted restaurant will be judged over the next month by two teams of mystery diners. Thank you to everyone for your nominations and keep your fingers crossed! Last week as part of the Queen’s 90th birthday celebrations our Head Chef Des Sweeney was on the Victoria Derbyshire Show on BBC News to talk about his time as chef to the Royal Family. 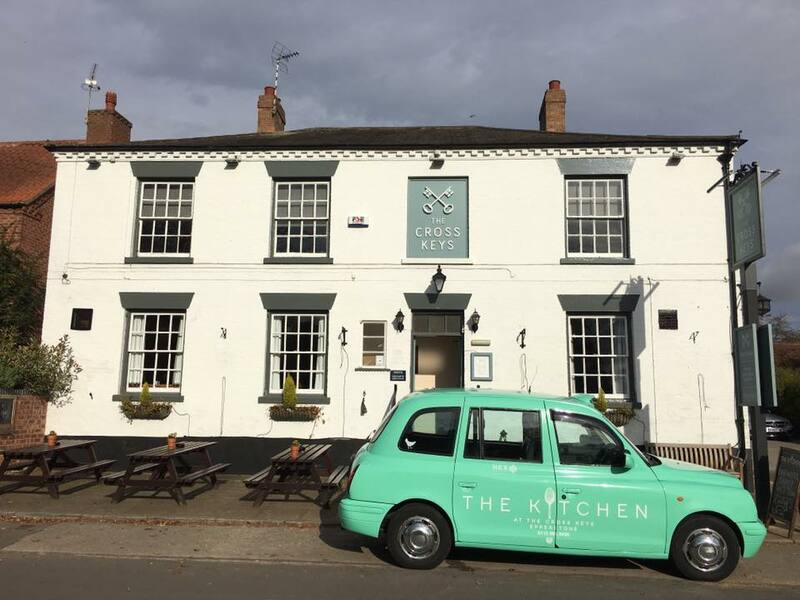 Why not come and try some of Des’s cooking at The Kitchen at The Cross Keys Epperstone. Remember to Follow us on Facebook for latest news and offers!